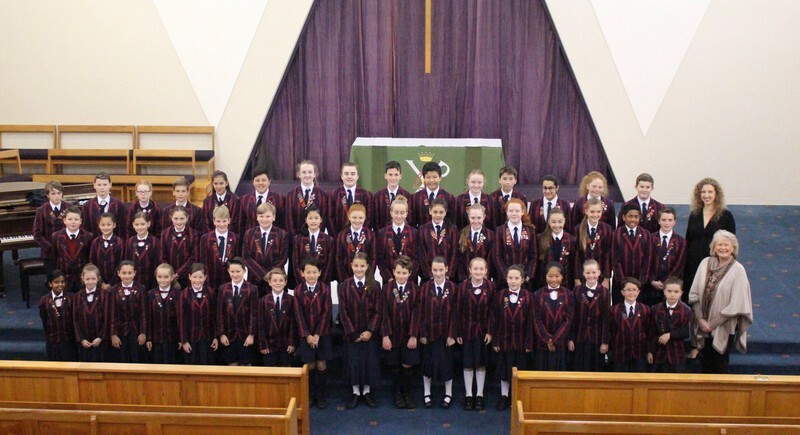 The central city will be buzzing with the sound of choral music on Wednesday 16 November with over 900 primary and intermediate aged children set to descend upon St Mark’s Church School for the inaugural Wellington The Kids Sing. For Secondary Schools, The Big Sing has been a firm fixture on the calendar for many years with hundreds of participants, so this new event for younger students is very exciting. The Kids Sing (TKS) has been successfully held in other centres for several years. There has been a very positive response to the pilot event in Wellington, with over 20 schools from the region taking part. The choirs range in size from 8 - 105 students and include students in years 3 - 8. St Mark’s Church School has kindly offered to host the event this year in their excellent Chapel and performing arts areas. Each choir will perform two pieces of music in a festival atmosphere and receive positive feedback from our Guest Commentator Katie MacFarlane. Katie has directed the Wellington College Chorale for the past 11 years in her role as HOD Music and is also past Director of Wellington Youth Choir. Lucy Rainey, coordinator of the event on behalf of NZCF in 2016, said that it was exciting to see the diversity in geographic location, the large numbers in the choirs, the varied age groups and interesting choice of choral items. NZCF are keen to make TKS an annual fixture and continue offering workshop opportunities for choral singers and conductors. The event is also being welcomed by the wider Wellington arts scene. Ella Buchanan Hanify, Musical Director of Artsplash, explains TKS offers a different but complementary singing experience to Artsplash. Both events offer fantastic musical experiences for young singers. The Kids Sing takes place on Wednesday 16 November in the St Mark’s Church School Chapel. There will be three 75-minute sessions, starting at 9:30am, 11am, and 1pm. All sessions are free and open to the public, but seating may be limited.